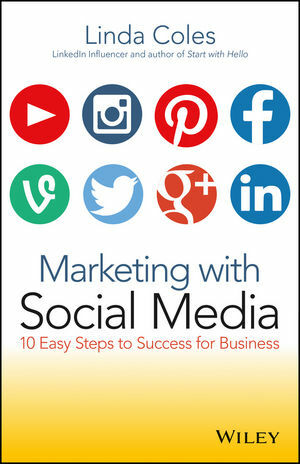 Marketing with Social Media: 10 Easy Steps to success for Business is your step-by-step guide to using Facebook, LinkedIn, Twitter, Google+, Pinterest and YouTube to promote your business. In 10 quick and easy steps, you'll learn how to use social media effectively, establish a simple marketing plan and measure the results of your efforts. You'll learn the basics of building profile pages, and how to create appropriate content that can be accessed by thousands of potential customers. This new edition is packed full of tips, traps to avoid and social media success stories, plus information on the newer platforms including Vine and Instagram. Early success is important to the longevity of a resource-poor company's campaign. When done correctly, social media can propel a small business into unprecedented profitability, whereas misguided or half-hearted attempts result in wasted time. For small business owners seeking increased exposure without increased expenses, Marketing with Social Media is a roadmap to online social media campaigns. LINDA COLES is a social media specialist helping businesses make the most of online tools to grow their customers and networks. A conference speaker and author on building relationships, she also consults on how to use relationships, online and off, as a way to grow your business connection base and network online effectively.